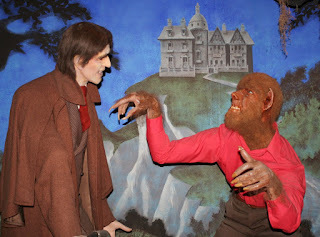 One of the great displays from the now closed Musee Conti Wax Museum in New Orleans, Louisiana. 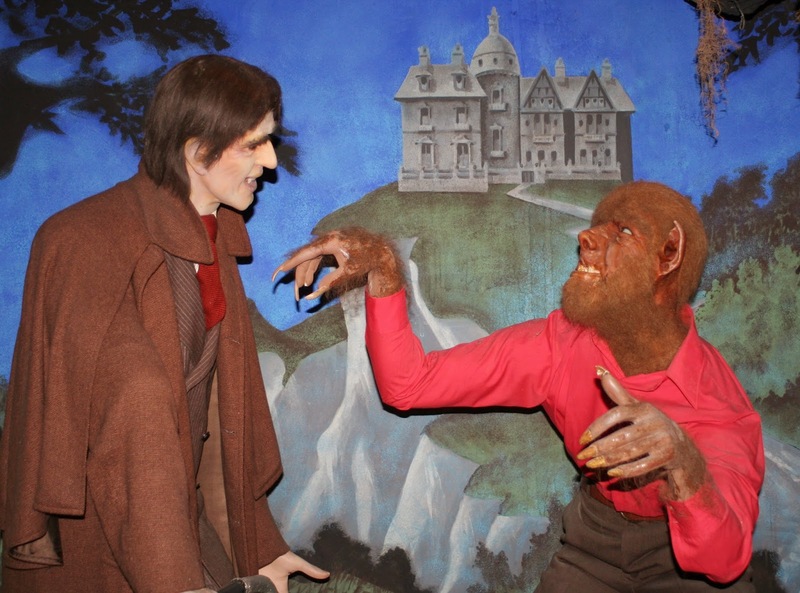 This wax museum was my absolute favorite. 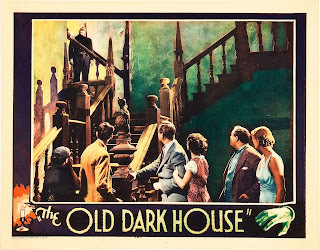 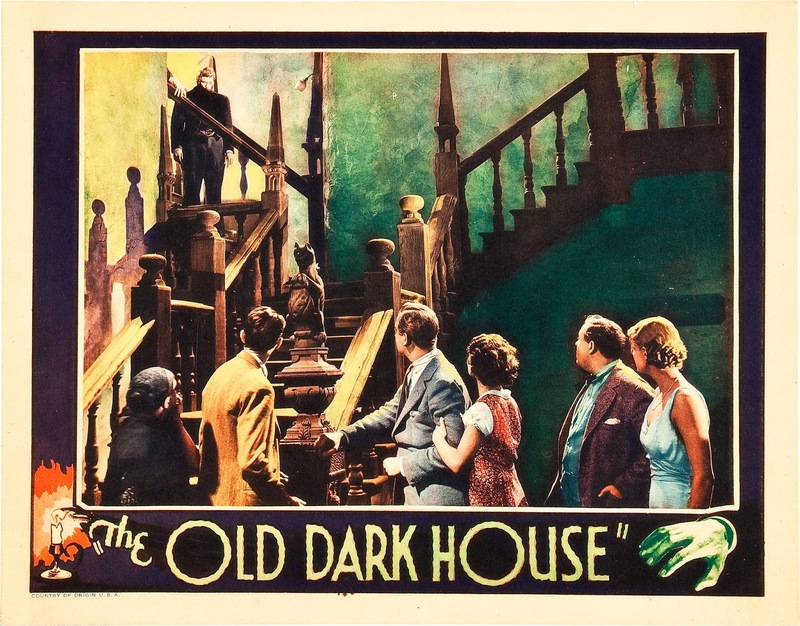 It was eerie and the chamber of horrors was excellent! 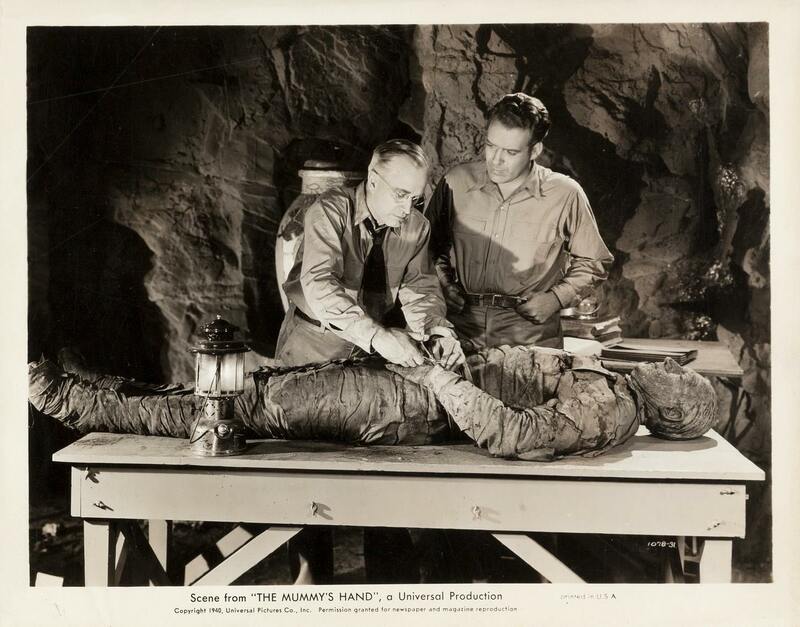 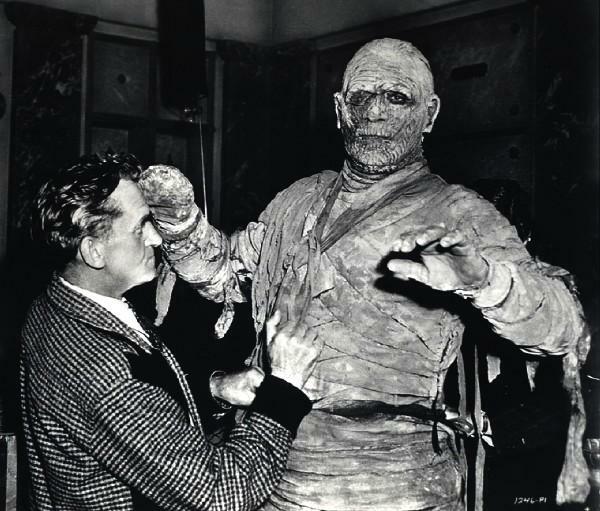 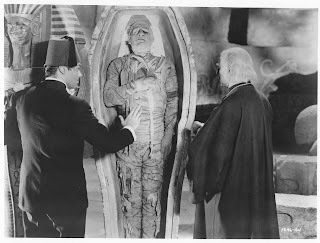 Lon Chaney, Jr. gets a little fix up on his wardrobe in "The Mummy's Tomb". 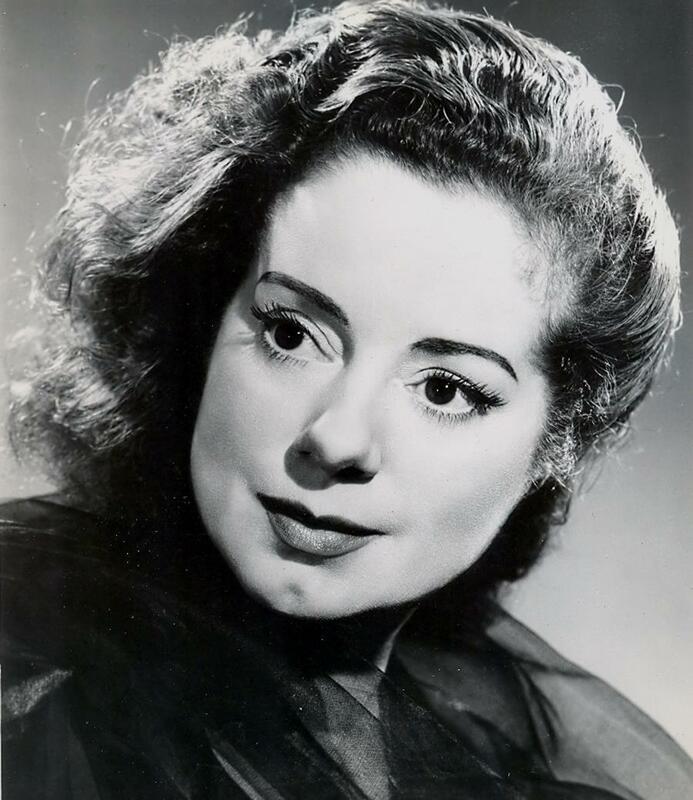 Elsa Lanchester NOT in her Bride of Frankenstein make-up. 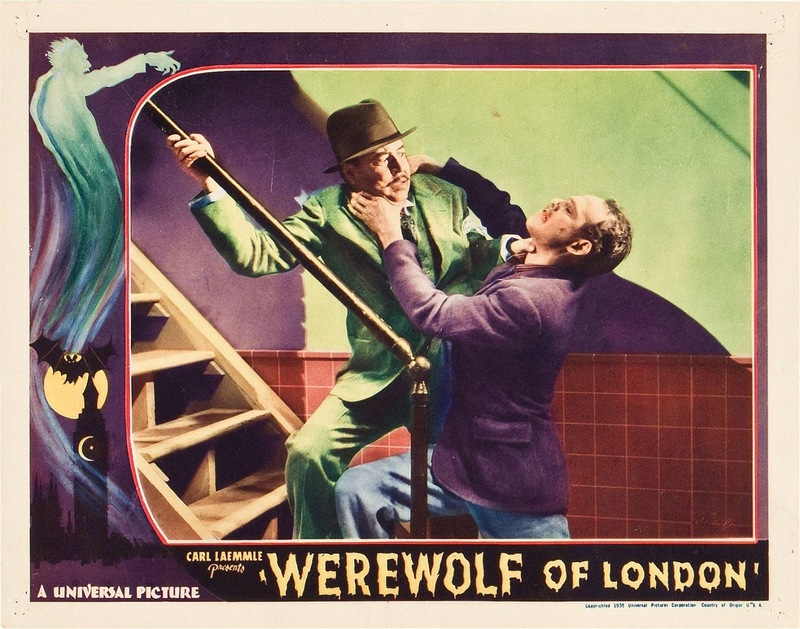 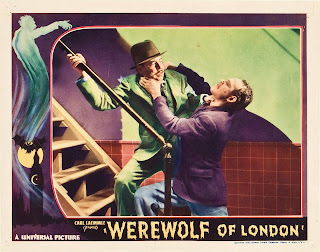 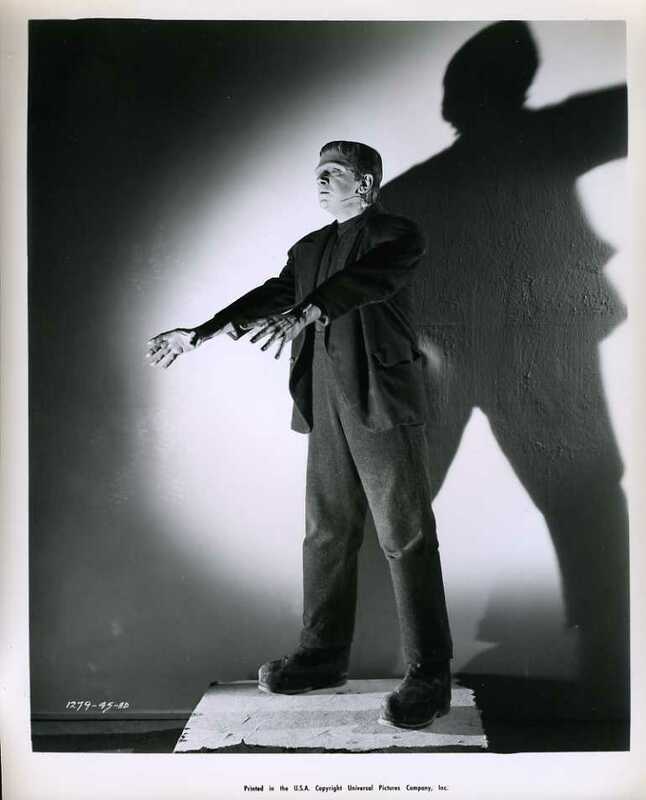 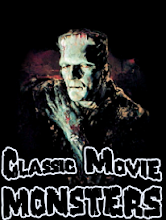 The iconic Frankenstein Walk with arms outstretched began here with Bela Lugosi as the Monster in "Frankenstein Meets the Wolf Man". 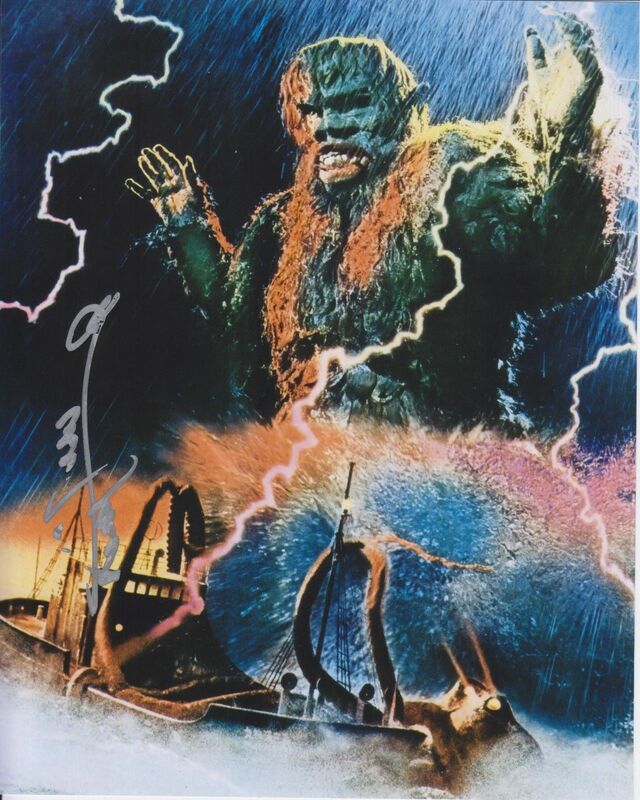 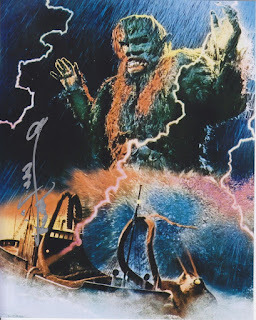 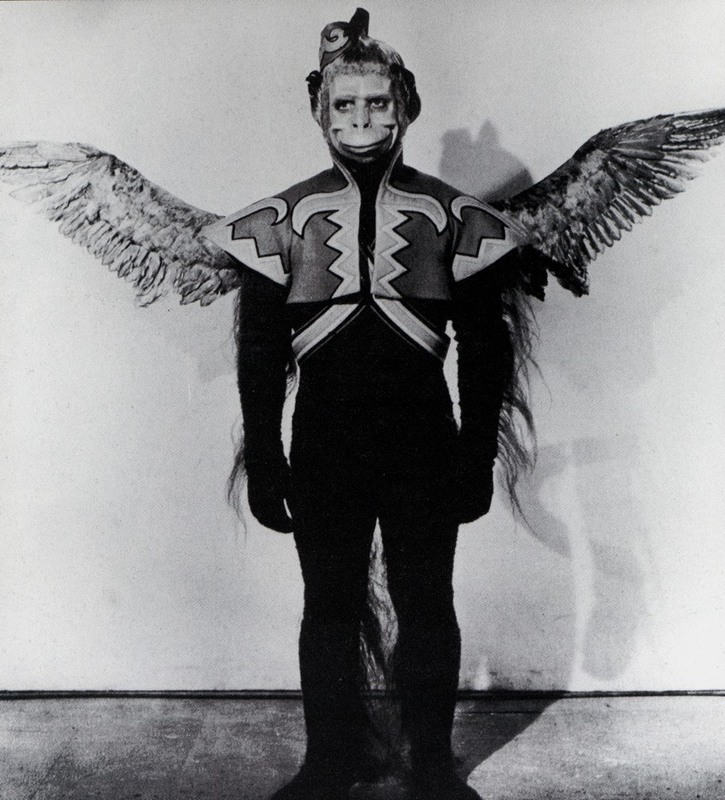 A great promotional image for "War of the Gargantuas". 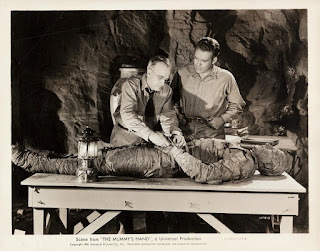 I always thought this publicity photo of supposedly Lon Chaney, Jr. as the Mummy from "The Mummy's Tomb" looked like Quasimodo underneath the bandages. 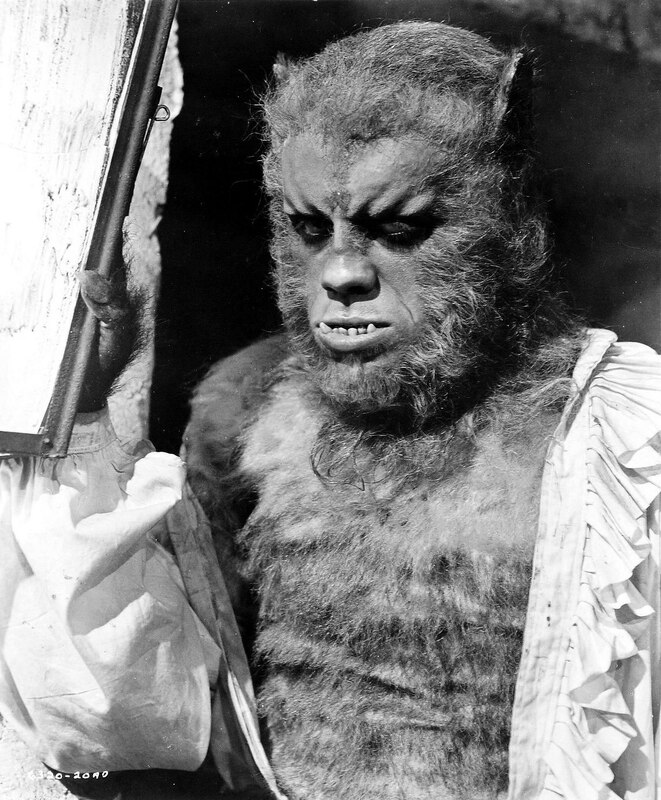 Here is Oliver Reed in "Curse of the Werewolf", which I think is one of the best designed werewolves in film. 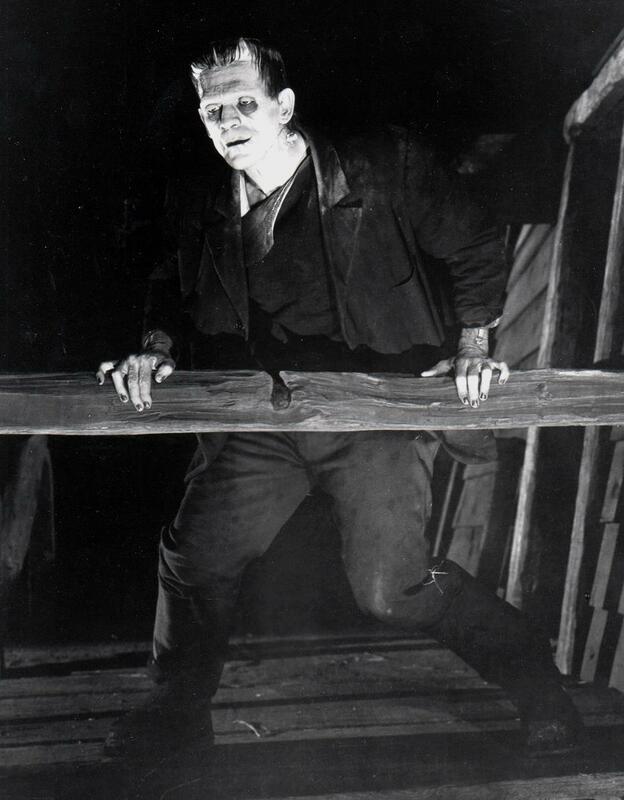 Sarah Michelle Gellar as Buffy! 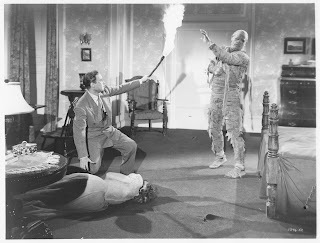 How Dare You Wave a Torch at the Mummy! 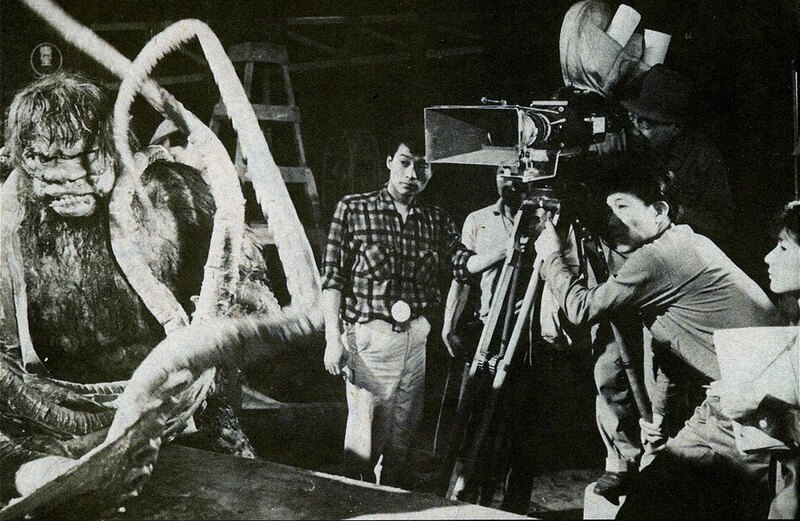 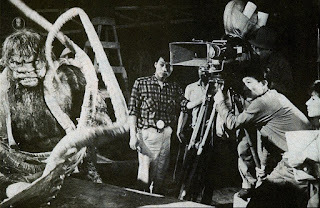 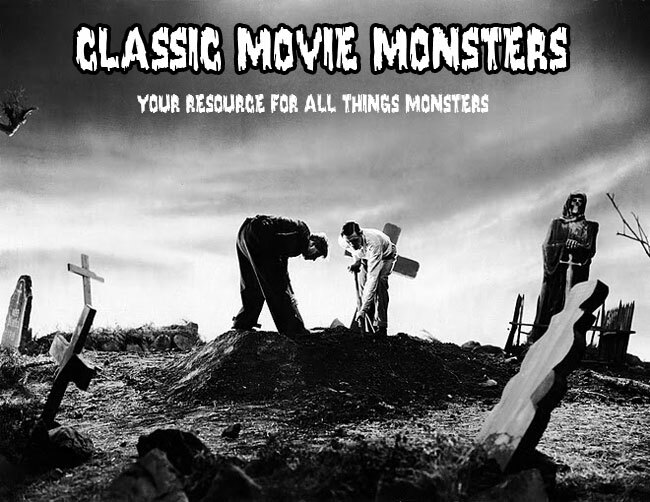 Filmmakers shoot the opening scene of "War of the Gargantuas" where the Green Gargantua fights a giant octopus.